The guys begin plugging their upcoming live show in earnest, featuring clips from last year’s show. 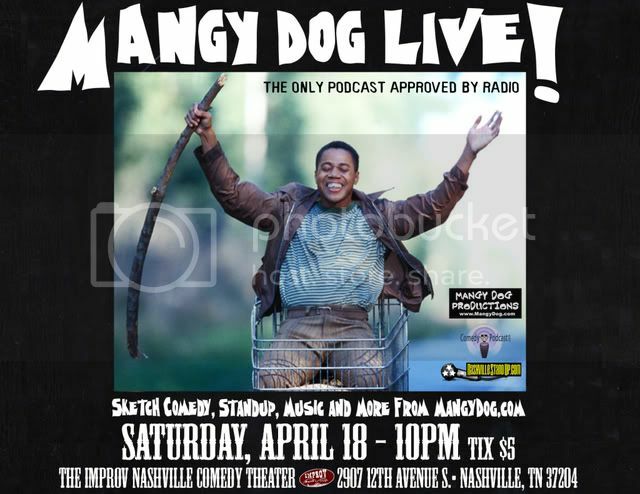 Plus, we play clips from the national television appearances of Nashville comedy alums KEITH ALBERSTADT and NATE BARGATZE! All the while, THE DEAD DEAD keep the beat. LORDY LORDY, LOOK WHO’S 40! Mark celebrates with AutoZone, we mock Joaquin Phoenix again, the riveting first installment of Sven The Yodeling Stuntman, stand-up clips from STEVE MARTIN, other weird crap. R-A-S-S-L-I-N, THAT’S RASSLIN!